At MomVesting we’re launching a series of articles about the right questions to ask about various types of investments. Whether the investment is proposed by yourself, your investment advisor, your spouse or anyone else, these simple questions will help you sort through the pros and cons. This week we’re taking a look at stocks and their earnings, using Starbucks as an example. You would think that this would be an obvious question -- why would someone run a company that isn’t making money? The reasons could range from a company in “start-up” phase to a company suffering a downturn, or even heading for bankruptcy. There can even be valid reasons for investing in a company that’s losing money (usually the belief that it will be making a lot of money in the future). But, as you would guess, as a general rule companies that are making money are better than companies that aren’t. How Do I Find Out A Company’s Earnings? The most easily available number regarding a company’s earnings is its Earnings per Share, or EPS. EPS is simply the company’s earnings divided by the total number of shares. You’ll find the EPS among the numbers just to the right of the price. 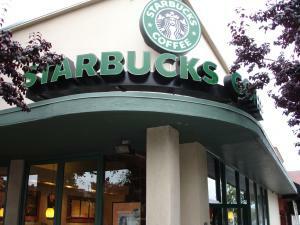 At the time of this writing, the EPS was $1.07, which means that Starbucks makes $1.07 per share. In our next installment we’ll look at more analysis of this number, but for right now you can at least ask one of the right questions about any stock you’re thinking about buying: Does it make money? If that EPS is less than zero, it doesn’t, and you should think long and hard about your reasons for buying a stock that isn’t making money. In our next edition of The Right Questions to Ask About Stocks we'll look at how price relates to these earnings and what that tells us about the value of the stock. This post is part of the Festival of Stocks. Be sure to go there and check out all the great posts.